The UK Film Council is understood to be planning a nationwide network of state-of-the-art film schools. The ambitious initiative is expected to be proposed next month when the Council, the UK's leading source of National Lottery cash, unveils the results of a high-powered training working group it launched in February with training body Skillset. Charged with the brief of preparing a comprehensive training strategy, the group of industry figures includes Paramount Pictures' Michael O'Sullivan, Working Title Films' Eric Fellner, ex-Odeon Cinemas' chief Richard Segal and former producer David Puttnam. The Council is expected to propose setting up schools around the country. Sources said that, along with offering training to budding filmmakers, the schools would provide teaching for would-be executives to go into all walks of the industry. Training is one of the key issues the Council is to address as it enters its second, three-year phase, during which it is expected to deliver a strategy for helping to build a sustainable British film industry. "If education training opportunities were better, you would attract better people to the industry, " said Film Council deputy chairman Stewart Till when launching the skills action group. "If we could get better people and grow them quicker and smarter, overnight we've got a better workforce. The film industry is simply an aggregate of the quality of the workforce. Our only assets are our people." 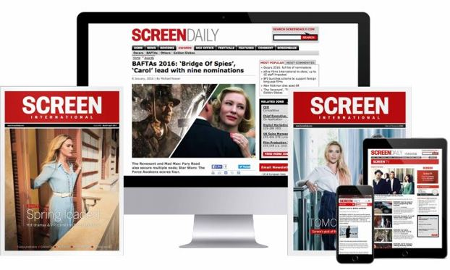 As revealed in a feature on the Film Council at three years in this week's Screen International, the public funding superbody is also negotiating with producers body PACT over changing its deal-making terms to benefit independent producers. The Council has come under fire from some quarters for supposedly driving too hard a bargain in its bid to put public money on a more commercial footing and recoup at least a slice of its investment. Part of the reason for the Council's aggressive recoupment terms is to fund its other activities, such as training. However, as another feature in this week's Screen International examines, the Council's commercial imperative is now being echoed at leading Australian public funding body, the Film Finance Corporation (FFC). Newly installed chief Brian Rosen has suggested that the level of public money in films should be scaled back to 30% of the budget- substantially less than it is now. He has also asserted that within three years the FFC should be recouping 50% of what it invests annually.